Changing your mindset often leads to frustration because it appears the changes don’t happen fast enough. I kept saying to myself; "I went through all this ‘stuff’ and my life isn’t any better. What gives?" One of the reasons for this lag is your current habits support your current money mind set. There is another factor that governs the progress of our results… The universal law of Sowing and Reaping. We often relate this law to farming when in actually it applies to every area of your life. This universal cannot be broken. There is a season for sowing when you plant the "seeds." There is a season for growing. Where the water, fertilizer, sun and soil nurture the planted seeds. This is the season of time and effort… period of waiting for the results of the seeds planted. There is a season for reaping. Harvest time where you enjoy the fruits of your labors. You cannot arrange the order of this law… Sow… Grow… Reap. Another part of this law… You reap what you sow. If you want corn, you must plant corn seeds. Now for the good news. While you can’t rearrange the order of the law, you can always plant new seeds. Up until now, you experience the harvest from the negative money belief seeds planted in your past. You planted new positive money mind set seeds when you began this challenge. It will take time for those new thoughts to take root and grow. It’s during the growing season, we become frustrated and discouraged because it seems like nothing is happening. Those new thoughts may be like the bamboo tree. This tree doesn’t show any evidence of growth during the first four years. The fifth year magic happens. The bamboo tree begins to grow and grow. It will average about three feet a day until six weeks later it reaches a staggering 90 feet in height. 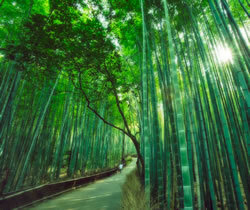 Changing your money mindset is a lot like the bamboo tree. It can be very discouraging and tiring when you don’t see results right away from your hard work. You don’t know the length of your growing season – but if you refuse to give up and continue to water, fertilize and nurture your new money thoughts – the reward for your efforts will follow. I really love that bamboo example, it is just what is happens to me once in awhile, but then i hold on and think that if i keep persisting i will suceed, so i keep watching vids about law of attraction, the treasure kit, listening to music that i really like, in this case i puto some effort on listening the music i use to hear when i had a really great financial situation, is like bringing back thos memories gets me the feeling of happines and joy for being succesful then i keep saying to myself that some how i am going to make it. No, i actually haven’t done that, still don’t know exactly how to do that!!! I love the bamboo story too. Focusing and feeling happiness is very important. On the same page, purchasing the Financial Alchemy workbook, it includes an audio of a live class. Start with the free option first. Lot’s of good information in that audio.